Billabong High International School is amongst the top CBSE, ICSE and IGCSE schools in India. It was launched in response to the request of Kangaroo Kids parents who were convinced that the fun, stress-free atmosphere we offered and our experiential learning methodology would be best for their children’s continuing primary and secondary school education. Encouraged by the parents conviction, our founder Ms Lina Ashar set another benchmark. In 2003, she established Billabong High International School’s first primary school, with the goal of helping young learners discover and hone their personal potentials and purposes beyond the classroom. The school was a pioneer in many ways, specially in the introduction of path breaking concepts like learner-centric education, research based curricula and practical application of knowledge assimilated backed by international standards and processes. 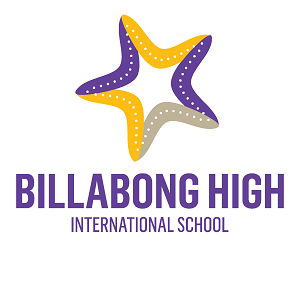 Our mission at Billabong High International School is to empower all our young learners with the skills and strength they need to unlock their own unique potential, achieve academic excellence, to grow knowledgeable and confident, and to approach life with a positive, winning attitude while being able to embrace any situation with tenacity. Billabong High International School’s parents can be assured that utmost care is taken to make sure there are educated in a safe and joyful environment, with each student feeling valued and empowered. Before beginning their classroom journey, all our teachers go through an intense training in the Billabong methodology. This makes them true facilitators of education who are dedicated to their task of making our young learners leaders of tomorrow. They are highly qualified and are well-versed with the latest global technology and apps, and use them efficiently in the teaching processes. Billabong High International School’s primary curriculum has been designed to integrate learning outcomes defined by all the three curricula — ICSE/CBSE/IGCSE. The school is being recognized as one of the top most CBSE, ICSE & IGCSE schools in India in India mainly because its curricula have been enriched with the unique KKEL methodology which goes beyond the defined outcomes. Billabong High International School’s middle school curriculum is aligned towards the board that the school is affiliated to. Many of our children have excelled in various scholastic and co-scholastic subjects and have emerged as India and World toppers. Billabong High International School has also always gone many extra miles forward to ignite the imagination of its young learners as the founders believe that imagination is as powerful a tool as knowledge. It has been the aim of the faculty to create fun, engaging and rewarding learning and creative experiences that will stay with children throughout their lives, and allow them to be thinkers, leaders, innovators and problem solvers. Billabong High International School offers education through the ICSE, IGCSE and CBSE boards, from preschool through to Grade 12 in India. It also shares a sister relationship with Billanook College- Australia, for the mutual benefit of its students through international educational links and resource sharing.